When Studio 1 Architects asked us to commission a bespoke seamless floor for a domestic kitchen-diner, we had no idea it would be viewed by 800 people attending an open house event. 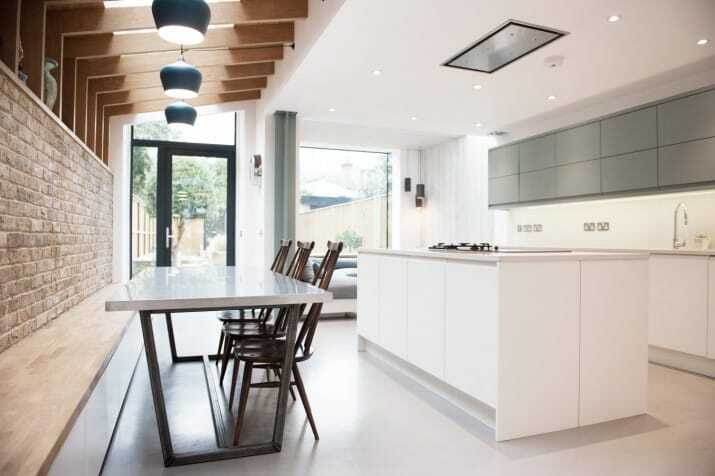 As polished concrete specialists with over 20 years in the industry, we’re often asked by architects to commission bespoke polished concrete floors for domestic, commercial and retail properties so the initial request came as no surprise. We met with the homeowners and discussed the best concrete flooring options available to them, then after a visit to our showroom in Orpington, they opted for Ardex PanDomo colour 3.1; one of our most popular mid greys. 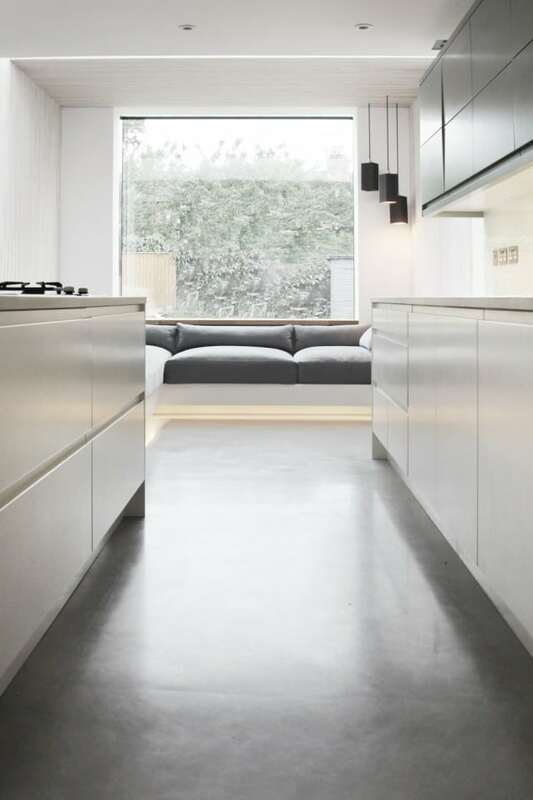 The floor was polished and finished to enhance the natural variations and colour shading indicative of polished concrete, and with light flooding in from oversized windows and skylights fitted as part of the modernisation process, the seamless floor really comes to life. Studio 1 Architects’ vision combined natural, earthy elements with concrete floors, exposed brickwork, ash slats and oak ribs in the Victorian home. The natural light pouring through the windows and skylights also helps soften the contrast between the calming interior decoration and the hustle and bustle of Wimbledon life outside. The architects and homeowners alike were so thrilled with the renovations they decided to open the house up to the public to showcase the finished product. We were delighted to hear that over 800 people attended the event and saw our product in situ amongst stunning craftsmanship and design. 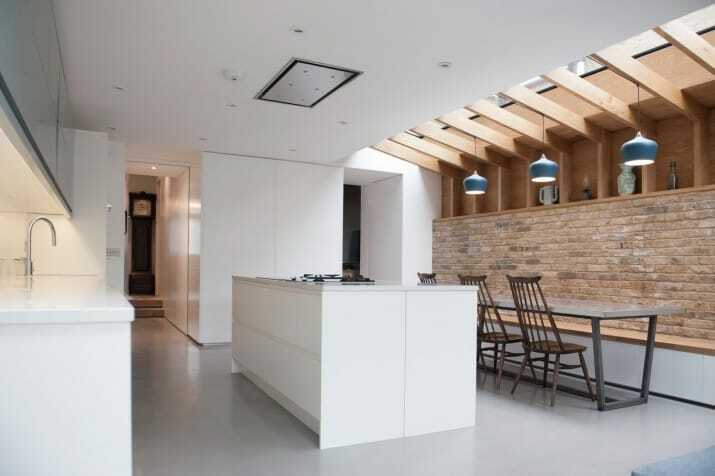 This modernisation of a Victorian property proves that whatever architectural style you prefer, whether modern, rustic or elegant, a seamless polished concrete floor will look stunning. Concrete floors can be laid over underfloor heating, in wet rooms and on stairs, so there really isn’t a reason not to consider a polished concrete floor in your property. With an immense range of designs and colours to choose from, we can create a bespoke floor that perfectly suits your property. 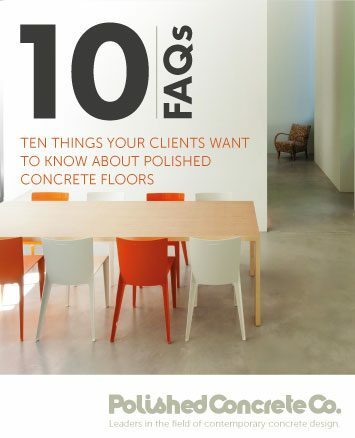 If you’d like to talk to a member of our team about installing a polished concrete floor, please call 020 8462 4050 or email info@polishedconcreteco.co.uk.